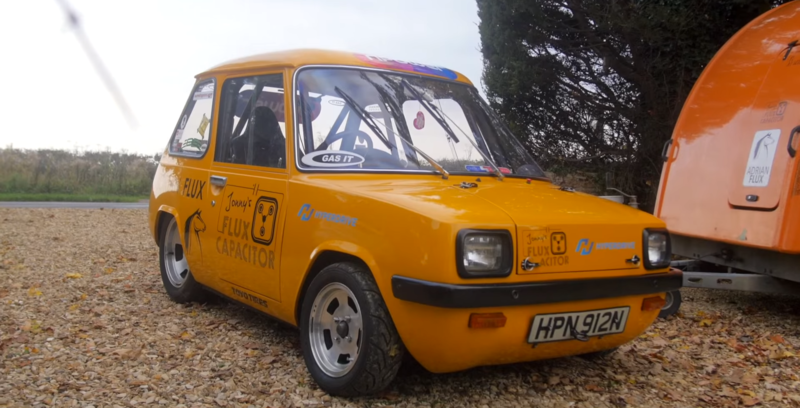 Fully Charged’s latest video features Jonny Smith’s modified Enfield 8000 ECC now called the “Flux Capacitor”. The vehicle beautifully illustrates how far batteries have come in the last few decades. When originally manufactured in 1974, the car was equipped with 300 kg of lead-acid batteries for 96 volts, now Smith equipped his with 145 kg of li-ion batteries for 378 volts.